SELLER MOTIVATED! MAKE OFFERS! Stunning Carefree ranch style home with over $80,000 in recent updates and upgrades! Featuring a highly sought after detached 741sf Guest House with updated full kitchen, bed & bath, separate driveway and its own fenced yard with shaded patio affording total privacy. The Main House has been updated throughout featuring remodeled bathrooms with quality finishes. The house & garage are wired in/out for surround sound. 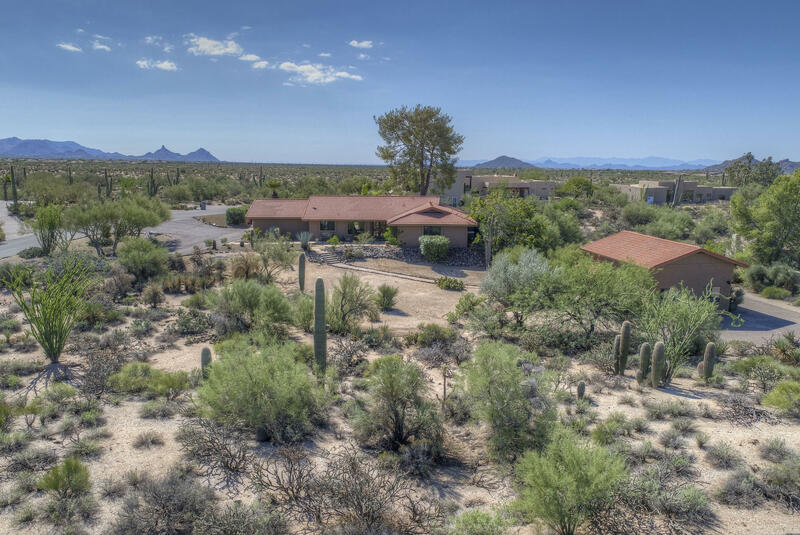 Stellar views of Black Mtn and the Continental Mountains surround on this corner homesite. This 1+ acre property boasts refreshed landscaping, a diving pool, BBQ, patio and mature vegetation including citrus trees.